Jaime Lauriano, Trabalho (Work), 2017, mixed media, 8' 2 3/8“ X 16' 4 7/8”. 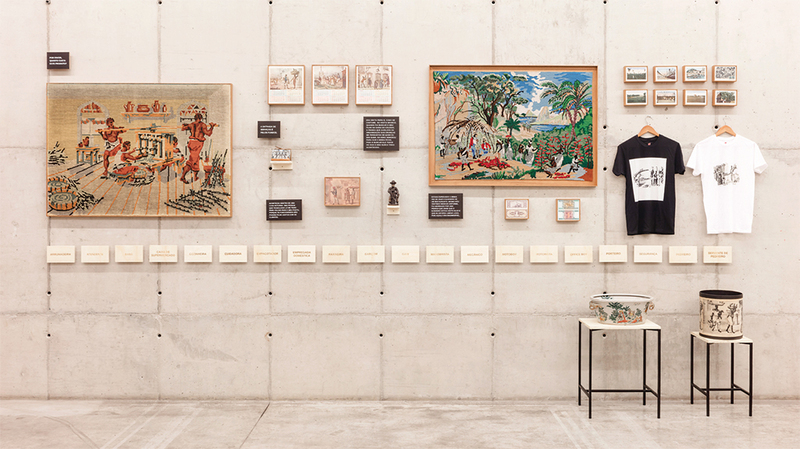 Brazil’s colonial past was the central theme of Jaime Lauriano’s exhibition “Assentamento” (Settlement). The title refers both to the name given to territory occupied by landless or homeless settlers and to the sacred areas designated for worship in Candomblé, a religion practiced mainly in Brazil, which draws its beliefs from various African traditions and is historically associated with slaves’ resistance.